After Retiring from the Army, she went to work with her brother Bill and together they built a major Real Estate Teaching and Appraisal firm employing over 25 people in northern California. Mrs. Gray developed and taught an accredited appraisal course during this time. After retiring a second time, Mrs. Gray focused her attention on collegiate studies earning a Bachelor of Science degree in Communications and a Masters in Psychology in 2016. Mrs. Gray’s historical and genealogical research began to take a more prominent role in her life in 2008 and focus is primarily on her family movements from Virginia to Canada & Liberia. The research then began to spread from Kentucky and Tennessee to Kansas and from South Carolina, Kansas, and Canada to Nebraska. Her first book “Yes We Remember” covers between the 18th through the 20th centuries. Her goal was to bring alive the stories of achievements and legacies that her ancestors left for the present and future generations. Our Dewitty is her second book has been named a WINNER in the 2018 International AAHGS Book Awards Contest (IABA). family, friends, and neighbors who collectively established the longest lasting Black Settlement in all of Nebraska. In this book, the focused is on the Women and what they had to say since largely their voice has not been heard in most all accountings of the Homesteaders. Mrs. Gray has presented some of her historical work during the AAHGS October 2015 Conference in Richmond, VA. Also, she has presented to the Middle Potomac History Researchers at the Josephine School Community Museum in Berryville, Virginia. She recorded her research on the Hatter family, for E-Learning- Jim Surkamp Presentations for American Public University System. 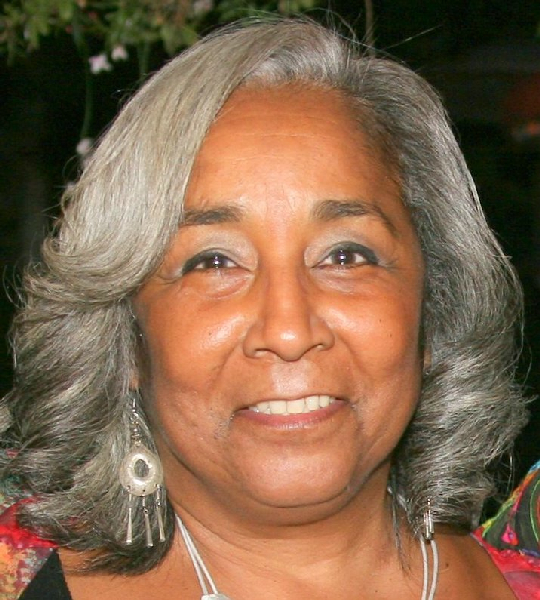 Mrs. Gray is married to Kenneth Gray Sr and they have five children and ten grandchildren. Living in Northern Virginia, she is in the process of researching for her next novel as she continues to be a contributing writer of over ten articles for BlackPast.org. I am an Adjunct Professor of Anthropology at the University of Nebraska in Lincoln. My research specialty is historical archaeology and I am currently researching Audacious DeWitty and its citizens. I am particularly interested in locating the documents you used to fill out the history of Ann Walker, William’s mother. If you could give me any leads on this subject, I would really appreciate it. That is a subject that really interest me. I have discovered some documents that you may be interested in as well and would be more than happy to send copies to you. These include an 1871 Canada Census that lists William P. Walker in Raleigh, Kent, Ontario; birth records for his children Leesant Amoss in 1872, Corena [or Corenia] Arlean in 1874, Evy Ann Jane in 1876 in Raleigh, Kent, Ontario to Willaim P. Walker and Sarah C. Kersey; and an 1880 US Census record showing the family being in Dawson County, Nebraska. You might be surprised by these. As you can see, they change some of the dates and places listed in Walker’s biography. I also have copies of his homestead claims if you would like copies of those. Please let me know if I can be of any help to you. I think maybe we could help each other here. Mrs. Grey. Your Aunt Mrs. Hayes was my teacher at the Goose Creek school. She was also close friends with my Grand parents and used to come have dinner with us when they were visiting. Thank you for sharing that with me. Goldie Hayes was my grandmother, and I was only six when she passed, so any other memory I would really appreciate it. I’m trying to write a brook about her life. So please stay in touch.